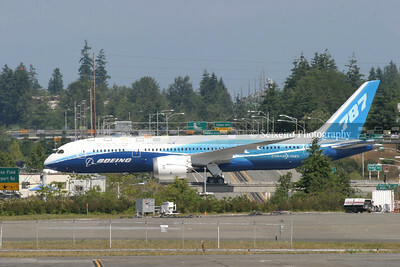 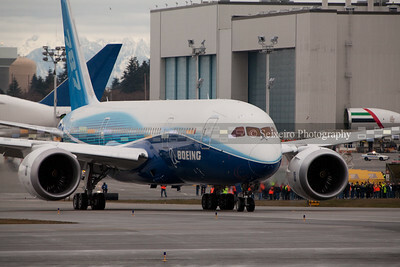 Boeing's 787 Dreamliner. 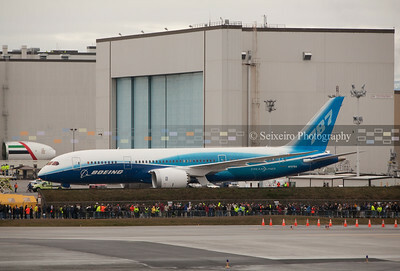 First rollout on 7/8/7 from the paint hanger, to first flight on 12/15/09. 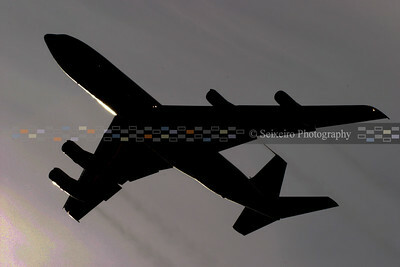 707 - notice how dirty the engines are. 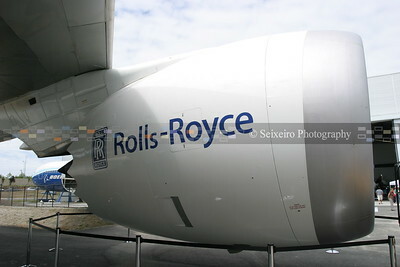 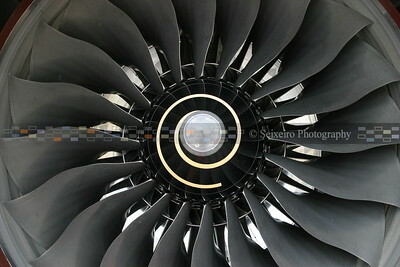 747 test bed for the Trent 1000 Rolls-Royce engines - see here on the inside of the left wing. 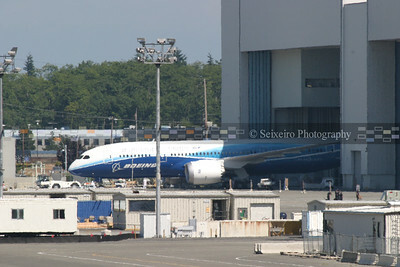 787 coming out of the paint hanger for the first time on 7/8/07. 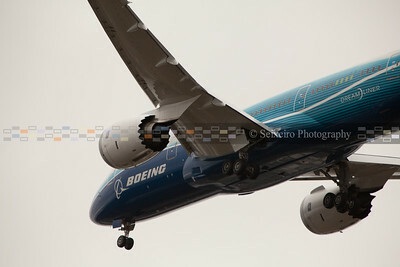 Crossing over the bridge - what a sight for the people driving under it. 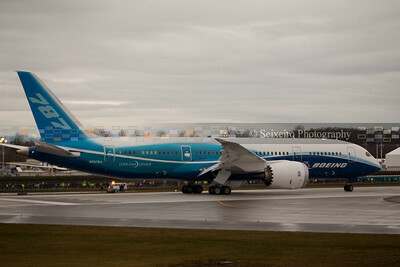 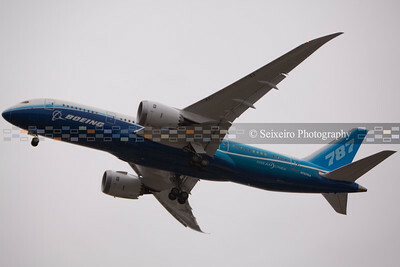 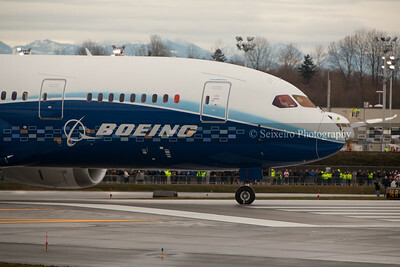 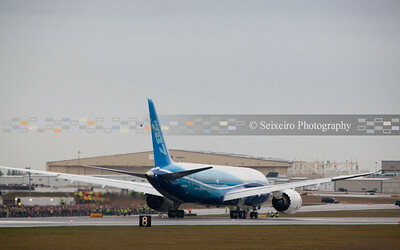 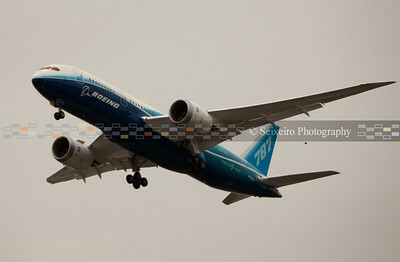 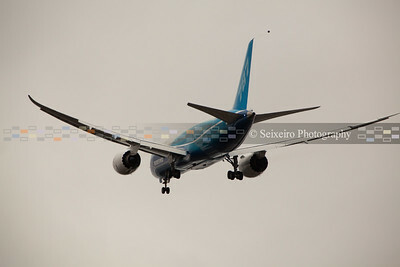 787 on 12/15/09 - rolling past Boeing workers on it's way to first flight. 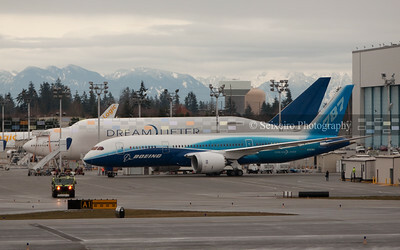 Modified 747 'DreamLifter' behind the new airplane. 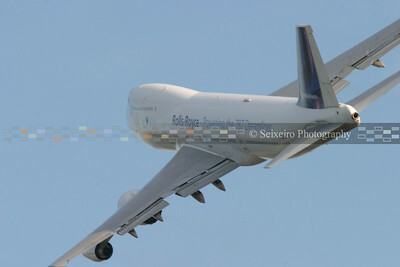 The DreamLifter carried parts of the fuselage of the 787 - you can see how it would all fit! 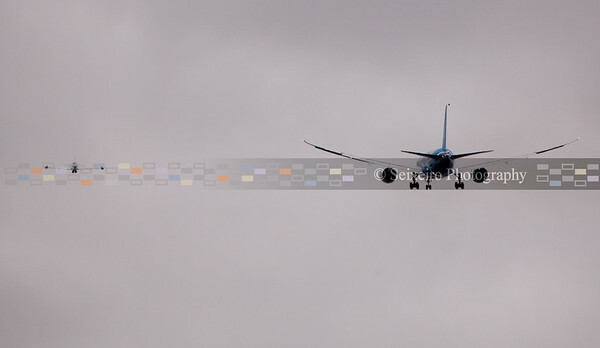 Two T-33 chase planes (one on the left) followed the 787 as it took off until landing.